I've been looking for a decent face wash for ages; I'd been using the same one for months and it was doing nothing for my skin. I saw the Soap & Glory For Daily Youth Foamy Moisture Face Wash for all skin types and I knew I had to snap it up. I like exfoliating properties in face wash but nothing too harsh for the skin. This face wash promises to gently purify and polish the skin, which is just what I'm looking for. It was a little expensive at £9 so look out for an upcoming review with my verdict. Yesterday, I had a horrible day at work as I was stuck in the stockroom for my whole shift and I think cabin fever started to set in. I got a 15 minute break so I decided to buy these body butters I'd been eyeing up. 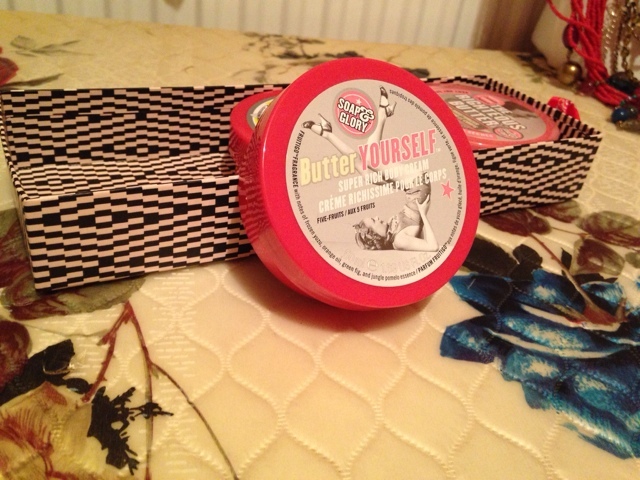 The set I got was the Soap & Glory Good, Butter, Best Gift Set with S & G bestselling body butters. 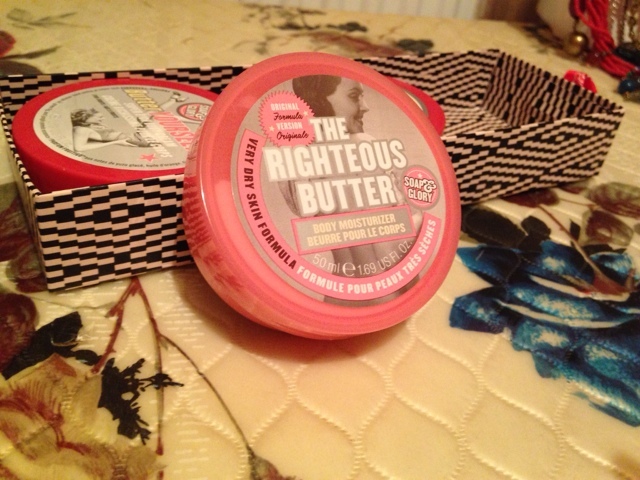 I love the smell of The Righteous Butter but I'm excited to try all the butters! It was £8 in Boots, which works out to £2.67 each. Let me know about any Soap & Glory products you've tried lately. I love the sugar crush range! The smell is amazing! You should get the body wash and scrub!! 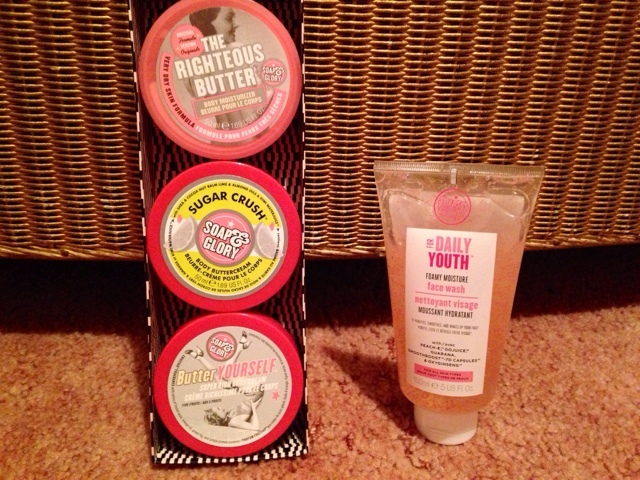 I've not been lucky enough to try their body butters yet but I ADORE Soap & Glory, I can't wait for you to review these :) I got a few S&G goodies for my birthday and will be reviewing them soon - I hope they live up to my expectations!